There are few games that are as long-running and widely respected as the Castlevania games. Ever since the first instalment, the weird clash of RPG and platforming mechanics has made the series instantly recognisable and massively appreciated. And the latest title, Order of Ecclesia is now different; once again providing fans with a fix of impossible bosses and sprawling gothic architecture. 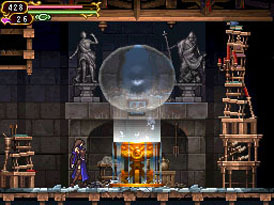 It’s Metroid-vania at its best. 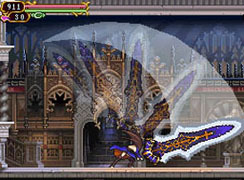 In many ways though Ecclesia stands out as a different title to anything before it and while the hallmarks of the series are here, like Dracula coming back to life and you having to explore his castle, there’s also a lot of very new stuff. The plot, the combat, the very interface – it’s all brand new. 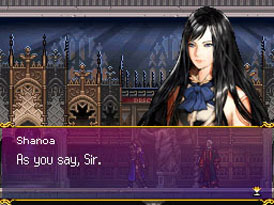 There are new characters too and Order of Ecclesia casts you not as one of the whip-wielding Belmont clan but as a holy witch-in-training called Shanoa. 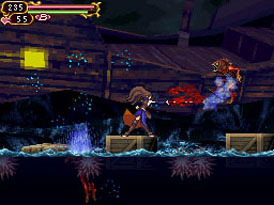 Part of the secret Order of Ecclesia, Shanoa works with a young gunslinger called Albus and the two are sworn to eradicate evil wherever they find it by using magic glyphs and weapons. All is not well within the Order though and when Shanoa is elected in Albus’ place to receive the power of the Order’s most powerful glyph, called Dominus, all hell breaks loose. 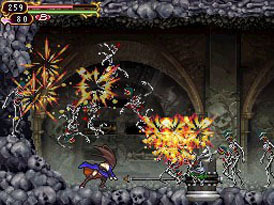 Albus goes rogue, stealing the Dominus glyph for himself and fleeing the order – leaving a weakened and amnesiac Shanoa in his wake. As Shanoa struggles to re-learn all her old abilities and skills, word reaches the Order that Albus has started kidnapping the inhabitants of the nearby Wygol village, using them in some strange ritual that involves stealing their blood. Eager to find out what the rogue spellcaster is up to and desperate to get revenge, the order sends Shanoa after Albus once more as, even in her weakened state, Shanoa is still the Order's most powerful weapon. It’s here the game starts, with Shanoa beginning the chase even though she has absolutely no idea what the future might hold for her. One of the most attractive things about the story though is the way it’s presented as, even though the plot as clichéd as a Dallas re-run, the new illustrative style adopted by Konami ensures that the game is always engaging on at least one level. It’s not a touch on the likes of Braid admittedly, but it does the job and makes good use of the DS’ fairly limited hardware. It’s amazing how well the game fits with the DS hardware in fact, never requiring use of the touchscreen needlessly but allowing the option on the various menus that you have to go through as you upgrade equipment and swap attacks over. 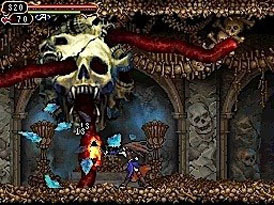 We consider it a huge plus point that we don’t have to mugfistedly draw a symbol on the screen at the end of every boss battle like we had to in Dawn of Sorrow. The game even manages to make use of the DS’ online options too. 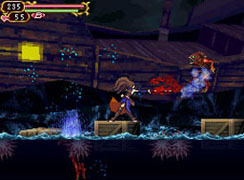 Not only can players trade items between themselves if they want, but there’s even an online versus mode too. It’s rudimentary and nowhere near as good as a co-op mode might have been admittedly, but it’s still worth looking into if you know someone else who has a copy. What’s more, if you’re a true Castlevania fan then you can even link your DS to Castlevania: Judgement on the Wii to unlock exclusive items in both. 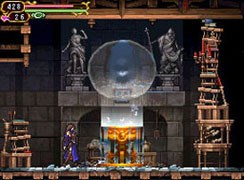 Given the fairly savage beating Castlevania: Judgement has had though, it probably isn’t worth going to any great length to unlock that. Producer Jun Takeuchi is worried about shifting trends in Japanese and western developers and how it might affect gamers. Square Enix is best known for the Final Fantasy series, but in a departure from the norm the Japanese developer has just released The World Ends With You - an action RPG for the DS which plays on topics of fashion and graffiti - but is it any good?